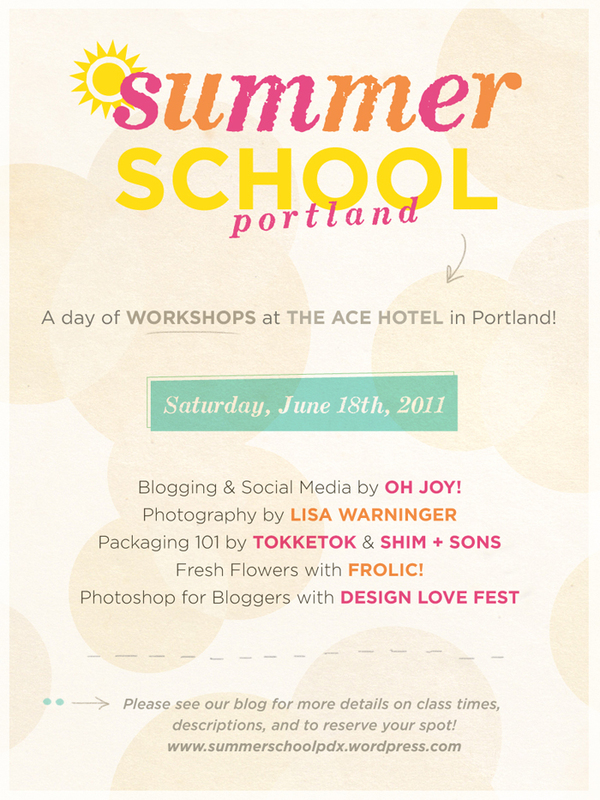 WORKSHOPS at THE ACE HOTEL! Blogging and Social Media by OH JOY! for more information and to reserve a space! I love the sound of this event 😉 SOOO want to be there! If you ever come out to the east coast please let me know! Also if you have a contact list please keep me on it..
I’m SOO beyond excited! What date is summer school starting? Eek! I’m so in! How do we sign up? Whatever shall we do for lunch??? Is there a website for more info? How much does it cost? I’m very interested. I’m not sure which class would be better suited for me, the photography one of the photoshop one? I’ve taken one class in photoshop a few years ago, and just recently started my own blog. I also have been taking pictures for my friends at weddings and such. How much practice will the photography class be giving? And would it be a waste for me to take the photoshop class if I already know a few things? Thanks for the help!